The stark reality is that throughout the world, women disproportionately live in poverty. This indicates that gender can both cause and perpetuate poverty, but this is a complex and cross-cutting relationship.The full enjoyment of human rights is routinely denied to women who live in poverty. How can human rights respond and alleviate gender-based poverty? This monograph closely examines the potential of equality and non-discrimination at international law to redress gender-based poverty. 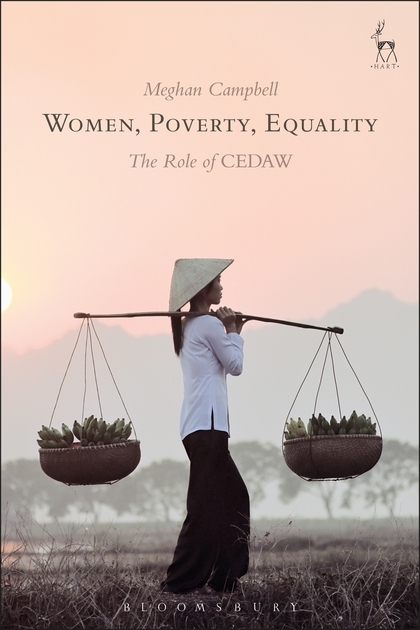 It offers a sophisticated assessment of how the international human rights treaties, specifically the Convention on the Elimination of Discrimination Against Women (CEDAW), which contains no obligations on poverty, can be interpreted and used to address gender-based poverty. An interpretation of CEDAW that incorporates the harms of gender-based poverty can spark a global dialogue. The book makes an important contribution to that dialogue, arguing that the CEDAW should serve as an authoritative international standard setting exercise that can activate international accountability mechanisms and inform the domestic interpretation of human rights. Meghan Campbell is a Lecturer in Law at the University of Birmingham and Deputy-Director of the Oxford Human Rights Hub.